St. Clair, Mo. 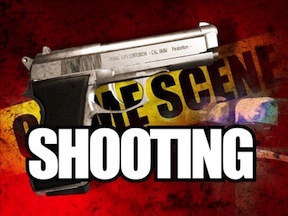 - Earlier this evening around 6 p.m. Franklin County Deputies responded to a residence in the 1200 block of Reiker’s Ford Road in a rural area between Union and St.Clair in reference to a shooting. After arriving on scene deputies determined that a father had shot his son in the chest with a 410 ga, weapon. St. Clair, Mo. - Early Wednesday morning Franklin County Deputies responded to the VFW hall, located on the North Service Road in St. Clair reference an Alarm Sounding. Upon securing the VFW, it was found a door had been pried open and the lock compromised. 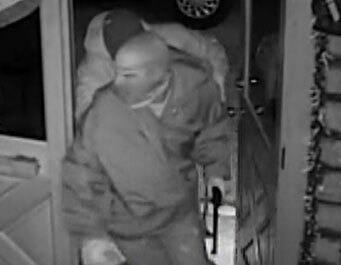 Video surveillance shows two suspects made entry into the building at 5:01am. The suspects are described as two males average height and weight. Both were wearing Dark hoodie sweatshirts and Blue Jeans. Pictured left is suspect William Osborn who has been charged for Thursday's murder. St. Clair, Mo. 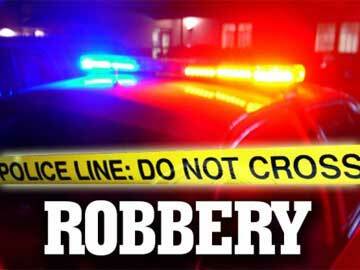 - The suspect in Thursday's murder has been identified as William Osborn, 33-year-old white male of St. Clair Mo. 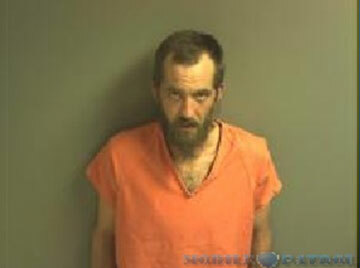 He has been charged with second degree murder and is currently being held at the Franklin County jail. The victim witnessed observed a white male in a White Chevy truck grab his hunting rifle and pack off of his porch before taking off at a high rate of speed. Wednesday afternoon an on-duty Franklin County deputy was in a Washington area gun shop checking on an order, when irony and stupidity led to the arrest of a white male and female. Robertsville, Mo. 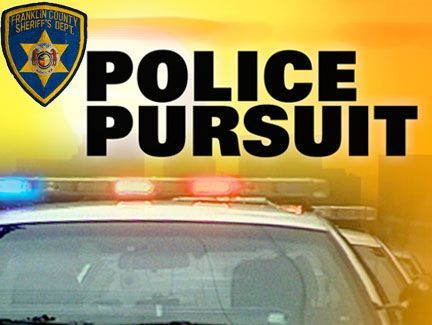 - On November 14, 2013 at approximately 4:26 p.m., deputies responded to the area of Highway O near Red Barn Road after being informed that several units from the Missouri State Highway Patrol were possibly in a foot pursuit of a subject from a traffic stop. Shortly thereafter it was determined that the subject was not on foot but in a vehicle. The subject was wanted for felony warrants. A description of the vehicle was given. Pacific, Mo. 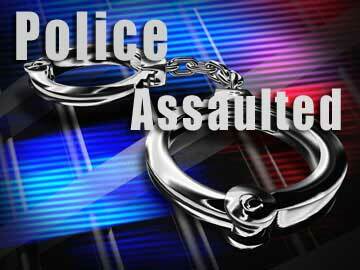 - Yesterday, Nov. 12, at approximately 10:45 a.m., Franklin County Deputies responded to the Pacific Police Department in reference to an assault report. 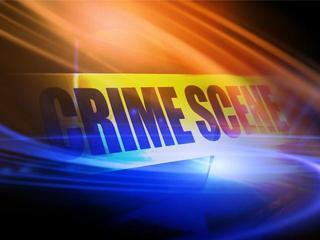 The reported victim was at the Pacific Police Department stating that he had been stabbed the night before. The victim stated that at around 9:30 p.m., on November 11, he requested a female associate to come to his residence in Avery Trailer Park in Gray Summit to retrieve her property. Villa Ridge, Mo. - After throwing a phone and ceramic mug at officers was useless he resorted to a knife, leaving him lying on the ground after being tased. Friday, Nov., 1 Franklin County deputies responded to the 600 block of Woodview Drive in Villa Ridge for a report of domestic violence involving a knife. St. Clair, Mo. 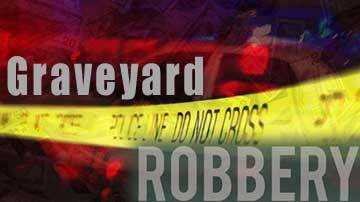 - Russell Funeral Home reported on Monday a large number of urns had been stolen from their cemetery. This morning Sheriff Gary Toelke said deputies were contacted by the owners of Poor Boy’s Recycling in St. Clair saying, “Someone had just attempted to scrap cemetery urns”. The owner was able to provide deputies with a description of the vehicle and one of the employees recognized the person attempting to scrap the urns. Pictured is Cornelius Balch. Photo provided by Washington Police Department. Washington, Mo. 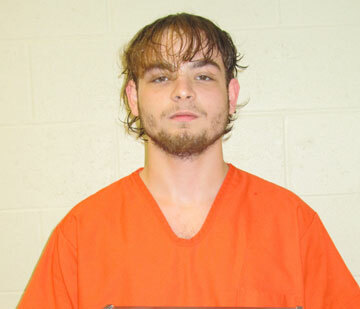 - After an armed robbery on Sept. 17th at the Fast-Trip Service Station on East 5th Street, 20-year-old white male Cornelius R. Balch was formally charged Tuesday morning with 1st Degree armed robbery by the Franklin County Prosecuting Attorney’s Office.